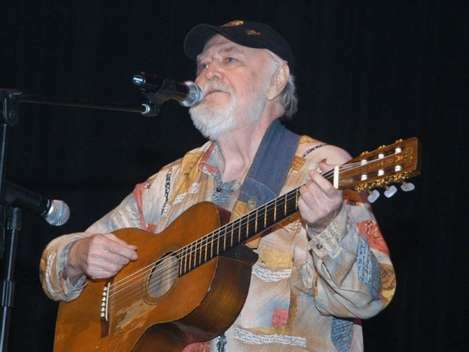 On Thursday, July 15th, 2010, at the age of 74, Hank Cochran passed away at his home in Hendersonville, Tennessee. Known by most as one of Nashville's Top songwriters of all time, Hank started out as a musician in Mississippi, learning to play guitar at age 10 from his uncle and singing in the church where his grandfather was the preacher. Born in Isola, Mississippi in 1935 during the Great Depression, in 2003, Hank was inducted into the Mississippi Music Hall of Fame. It's a fact, Hank Cochran wrote or co-wrote so many great songs that were recorded by the likes of: Eddie Arnold, Elvis Presley, Patsy Cline, Keith Whitley, Willie Nelson, Ray Price, Bing Crosby, Buck Owens, George Strait, Etta James, Tammy Wynette, Merle Haggard, Dean Martin, George Jones, Linda Ronstadt, Lou Rawls, Lawrence Welk, Henry Mancini, Burl Ives, Tom Jones, Waylon Jennings, and on and on and on. Several hundred cuts by so many of the greats, crossing over time and again on the musical charts of his lifetime. The bottom line is, Hank began his huge career as a singer and guitar player, as a musician. In 1955 Hank was living in California where he hooked up with Eddie Cochran, (no relation) performing as a rock n' roll duo and calling themselves The Cochran Brothers. They appeared on KTTV's Town Hall Party and toured with country music legend, Lefty Frizzell. In January 1960, Hank relocated to Nashville to pursue the life of a professional songwriter, signing with Pamper Music for a $50 a week draw. He was also instrumental in getting Willie Nelson signed to his first ever songwriting deal with Pamper. In 1961, with the release of Patsy Cline's #1 smash hit, "I Fall To Pieces", co-written with Harlan Howard, his incredible legacy as a songwriter was off and running for the following 5 decades (yes, over 50 years of hits written on his guitar!). In 1967, Hank was inducted into the Walkway Of Stars by the Country Music Association. At the same time he was signed to Pamper Music, Hank started playing guitar for Justin Tubb on the Opry, and he also logged time touring with Ray Price. During this same time frame, Hank scored his first hit as a recording artist, with the Top 20, "Sally Was A Good Old Girl", and earned 3 BMI Performance Awards (he's won 39) for songs he'd written on his own. Hank also went on to become a co-owner of Pamper Music, (along with Ray Price) until the company was sold to the Sony/ATV Tree Organization in 1989. In 1974, Hank was inducted into the Nashville Songwriters Association's International Hall of Fame. He's the only songwriter ever to receive a unanimous vote, and that is saying something for sure, of his status as a writer on the world stage. As a recording artist in 1996, Hank topped the Americana music chart with "Desperate Men: The Legend and the Outlaw", and in 2002 he released the album, "Livin' For A Song: A Songwriter's Autobiography". Hank also appeared in Willie Nelson's 1980 film, "Honeysuckle Rose". I had the honor of meeting Hank Cochran the first time while recording in his home studio in the late 80's with my band from Iowa, The Ozone Ramblers. A few years later I saw him again when I was performing with songwriter Troy Martin at the Florabama. We all stayed in the same house for 3 days that the club provided as part of the gig, right on the ocean and a stones throw from the club. The last time I spent time with Hank was at Masterlink Studio here in Nashville in the late 90's. Hank, myself, and songwriter/artist Clinton Gregory, were sitting around a table in the lounge while they were on a break from their recording session. Hank was holding his guitar in his lap and looking at a Billboard magazine checking out that issue's Country Music charts, counting how many songs he had written or co-written that were on the chart at that time, and there were 3. As Clinton and I congratulated him, blown away that he could have 3 songs he had written at the same time racing up the charts, he told us that since 1961, when Patsy Cline released "I Fall To Pieces", he had had at least one song in the Top 100 on Billboard, on every chart since. On one chart, he had 5 songs in the Top 10 at the same time! More than once he's had up to 4 versions of the same song out by both pop and country artists simultaneously. 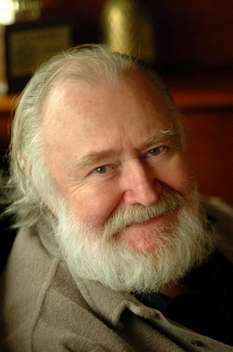 Please help me honor Hank Cochran for all he did to put Nashville music and our musicians, songwriters and artists, on the world map of music. Take a minute to remember him, say a prayer for his family, and help celebrate the huge contributions he made that have ultimately affected all of us. He played such a huge part in creating the music we all love so much and the town so many of us musicians now call home. Nashville, Tennessee, Music City, USA. May you rest in peace Hank Cochran, knowing your songs and music will live forever. You will be missed and always remembered.